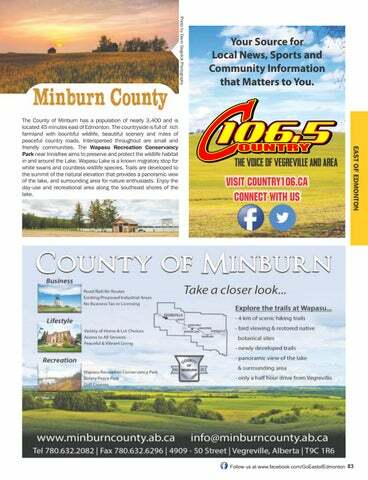 The County of Minburn has a population of nearly 3,400 and is located 45 minutes east of Edmonton. The countryside is full of rich farmland with bountiful wildlife, beautiful scenery and miles of peaceful country roads. Interspersed throughout are small and friendly communities. The Wapasu Recreation Conservancy Park near Innisfree aims to preserve and protect the wildlife habitat in and around the Lake. Wapasu Lake is a known migratory stop for white swans and countless wildlife species. Trails are developed to the summit of the natural elevation that provides a panoramic view of the lake, and surrounding area for nature enthusiasts. 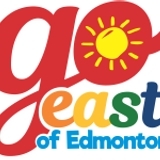 Enjoy the day-use and recreational area along the southeast shores of the lake. Your Source for Local News, Sports and Community Information that Matters to You.